SPECIAL OFFER – Only $39.00! For over 13 years, our New Patient Assessment has been $150.00. For the next month, we are choosing to do a promotional offer to make it very easy to help more people. Our full evaluation, including x-rays and a full report of findings will only be $39.00. Your time is now. If you or a loved one requires help, schedule a time with us and take advantage of this promotion! Before you decide if you should read any further, it’s most important to know why we are doing this. Headaches and migraines are debilitating and life altering conditions that affect many areas of your life. Most regular people don’t realize that Chiropractic doctors can relieve this pain without damaging medications or drugs. 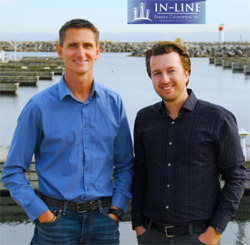 For over 13 years, we’ve been educating our community in Oakville and been able to help thousands of people. It has gotten to the point where we are FRUSTRATED that so many people are still needlessly suffering with these conditions – not knowing there’s a solution. Chiropractic care is heavily RESEARCHED, STUDIED and PROVEN to relieve pressure in your body and make pain go away. We don’t need to prescribe medication to mask the problem, we instead determine where the pain is coming from and treat the cause of the issue. 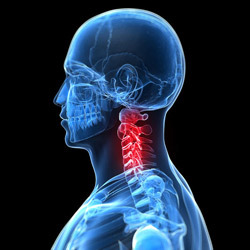 Dr. Zeni and Dr. Russell use a special technique to adjust the spine without any twisting or turning of your body. This comfortable and gentle technique makes it easy to re-align the spine allowing your body to FUNCTION, HEAL and RE-CREATE the way it was intended to in the first place. Stopping any degeneration and arthritis. Improving your mobility and overall health. If you’ve suffered with headaches and migraines, please let us help you. Our goal is to educate the Oakville community and stop the needless suffering that so many individuals experience on a daily basis. Getting you healthy is our top priority. Drs. Russell and Zeni are highly experienced and detail-oriented. They will determine the cause of your problem, educate you on its origin and explain what needs to be done to correct the issue. Headaches and migraines are the MOST COMMON conditions our Doctors fix on a daily basis. Stop suffering with these debilitating symptoms and seek help! Expect a treatment plan explaining length of care and all costs before any care begins. Expect an amazing experience from start of finish. Since starting chiropractic care with Dr. Zeni, my migraines have completely disappeared. I once suffered on a regular basis, and now I have less than one migraine per year! Amazing. Dr. Matthew Russell and his team are highly skilled and knowledgeable in their field of Chiropractic treatment. The courteous and welcoming staff make myself and my family feel comfortable and welcomed. I would not hesitate to tell anyone about the great care we receive, the health benefits we notice, and how helpful, welcoming and flexible everyone is. Thanks! These two guys are a rare find! So positive, educated and knowledgeable. My sciatica is gone and my overall health has improved. Thanks In-Line and the staff too. Headaches and migraines were once a part of my daily routine. I would suffer and take pills without ever thinking anything could help me. Then I met the Doctors at In-Line and my life has changed. I rarely have a headache and when I do they are so mild that I barely notice. Thank you so much for all your help. Dr. Zeni is obviously very dedicated to his profession by incorporating the latest knowledge and technology to provide optimal treatment. His communication skills are outstanding and I value the fact that he used x-rays as a starting point to diagnose, communicate and treatment plan my case. Kudos to Dr. Zeni and his team for exceptional service and care! You really do feel very special there and not just from Dr. Zeni from his whole staff too. Very special Doctor knows his stuff. The treatment really works I could hardly walk in the front door from my back pain now I can’t wait to run in the front door. I suffered from migraines and headaches almost every day for two years. Sometimes the migraines would completely incapacitate me. I had been on many types of pain medications and muscle relaxants and nothing helped me. Finally I wound up going to a pain clinic for injections every week for several months but it only made things worse. I’ve been going to Dr. Zeni for only about two months and have already seen improvement. Instead of the weekly migraines, I’ve only had one in two months. I seldom get a headache and when I do get one, it will usually go away on its own and it isn’t nearly as intense as what I used to get. 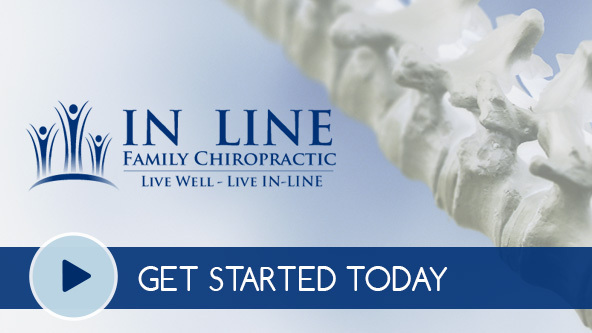 I am so grateful that I chose In-Line Family Chiropractic. I have never felt comfortable with previous chiropractic care I received but techniques were different. I feel comfortable with Dr. Matt’s care and have noticed improvement in several areas.